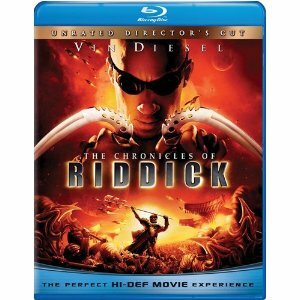 WorldMovieStore - Chronicles of Riddick Sinopsis. Bigger isn't always better, but for anyone who enjoyed Pitch Black, a nominal sequel like The Chronicles of Riddick should prove adequately entertaining. Writer-director David Twohy returns with expansive sets, detailed costumes, an army of CGI effects artists, and the star he helped launch--Vin Diesel--bearing his franchise burden quite nicely as he reprises his title role. --Jeff Shannon. Read More Sinopsis. 0 Response to "Blu-ray Release Chronicles of Riddick"